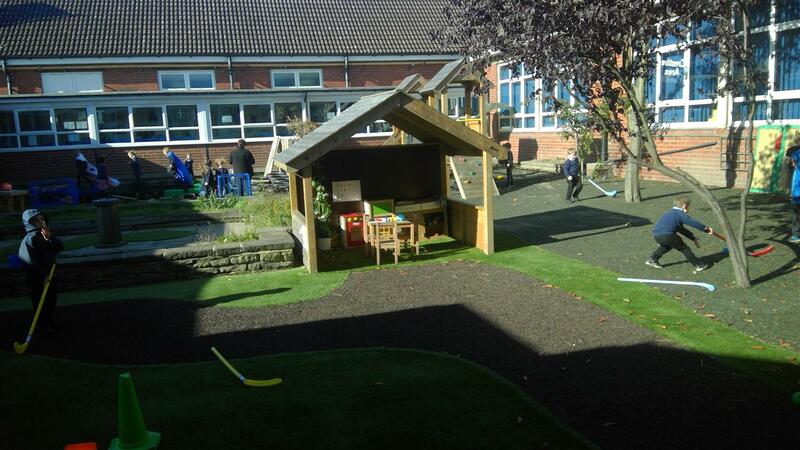 Our Director and Playground Consultant, Andy Snell, worked with Tapton School Academy Trust’s Area Manager, John Dean, to re-develop Southey Green Primary School’s playground environment. The primary aim of the project was to provide the school’s Foundation Stage 2 children with a safe and engaging learning environment that promoted cross-curricular activities. 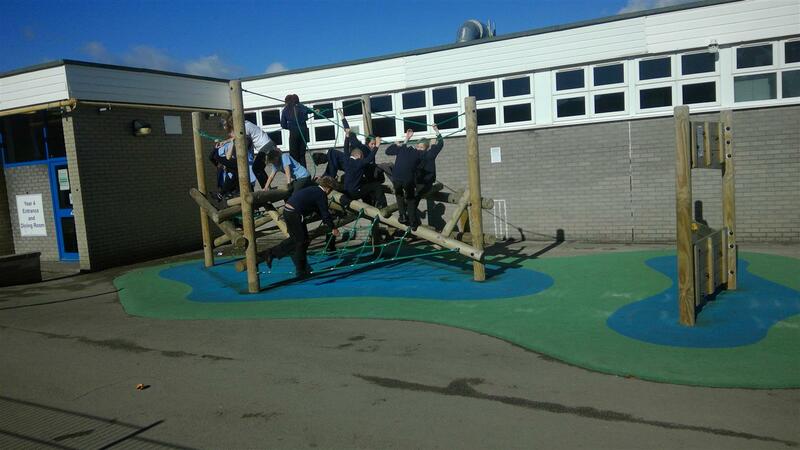 During our consultation, the school emphasised that they wanted a playground that promoted all areas of the curriculum and not just physical development. 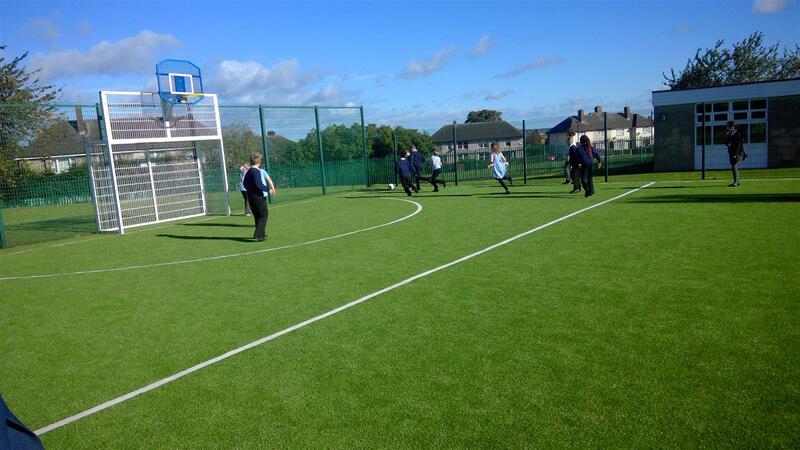 Furthermore, the school also wanted to improve their two Multi Use Games Areas which needed a sport surface with line markings to cater for different sports. One of the school’s main concerns was safety, so we decided to install a blend of different safety surfaces to create designated zones for learning. 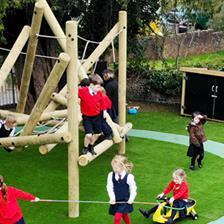 We installed a mix of Artificial Grass, Wet Pour and Playbond surfacing to help reduce injuries and create a visually engaging environment for children to explore and take safe risks. “The environment is aesthetically pleasing, and it is an environment that the children cannot wait to explore each day." 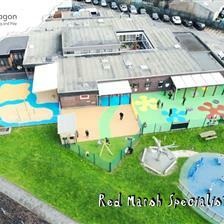 You can view our amazing range of playground surfacing here. 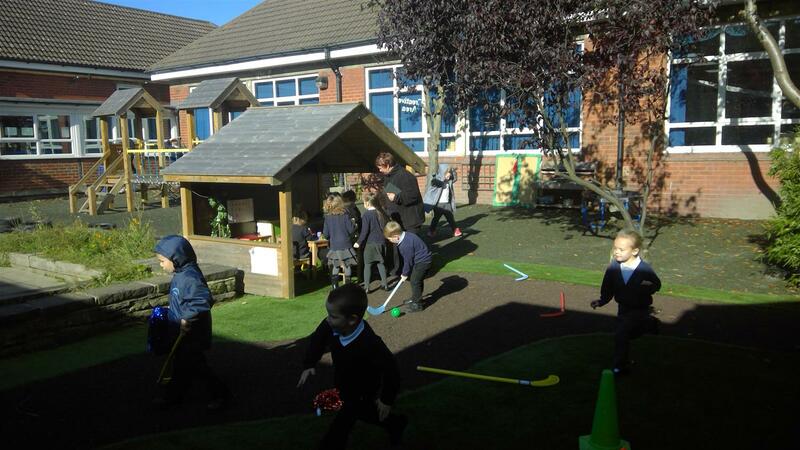 Working closely with the school, we created zones for investigative learning, physical development, imaginative play, mark making, construction and messy play. 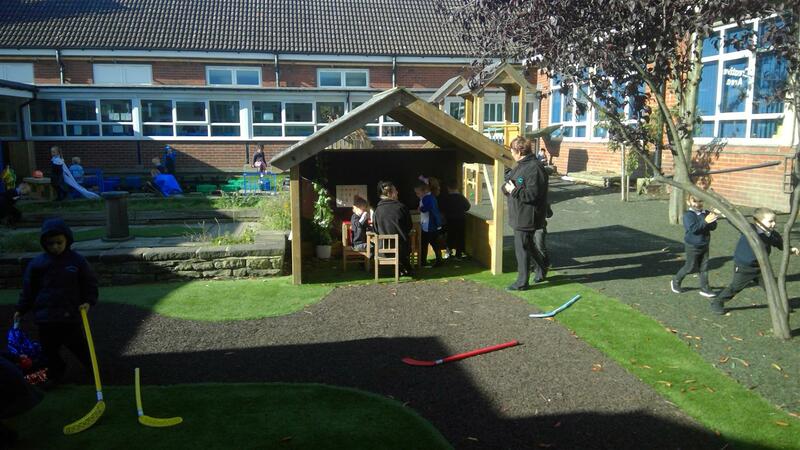 The investigative learning zone encourages children to explore materials and collaborate with each other. For example, children can discover science on the Water Wall while they can also turn into little chefs when using the Mini Mud Kitchen. 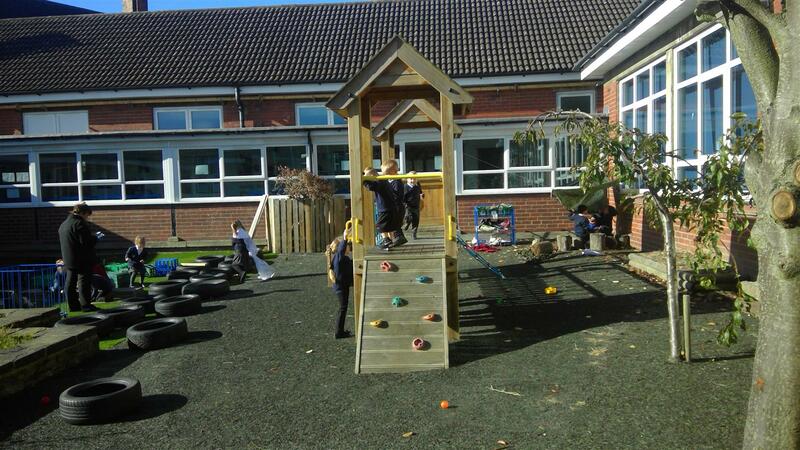 The whole area promotes creativity and collaboration alongside nature-rich messy play. To target physical development, we created a Wetpour Roadway for children to ride along on their bikes and trikes. The roadway includes pedestrian crossings, parking bays, humps and stepping stones. These are great additions to teach road safety and enhance children’s understanding of the world. 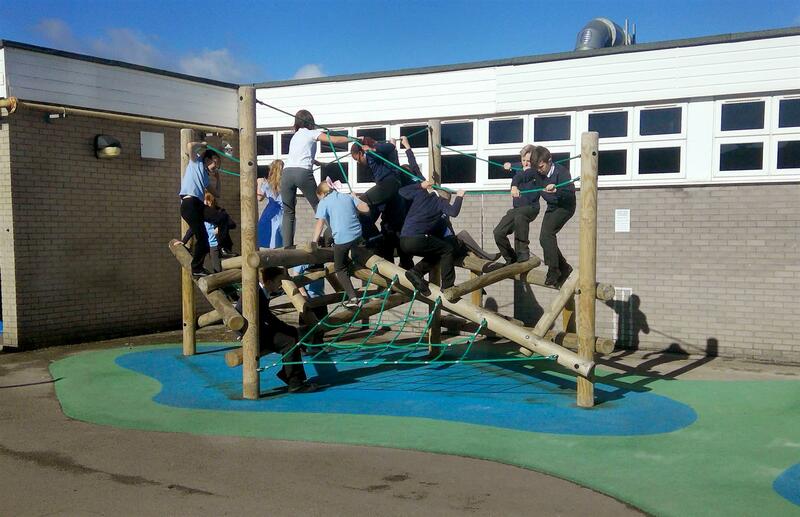 Furthermore, we installed a Bespoke Play Tower to create an additional physical play zone. This resource will become a hub for both physical and imaginative play. To promote mark-making outdoors, we installed our Whiteboard, Chalkboard and Paint Panel onto Posts. Children can practice art and writing skills and express themselves on a blank canvas. We created designated play zones using different surfacing colours and textures for activities such as construction and quiet time. 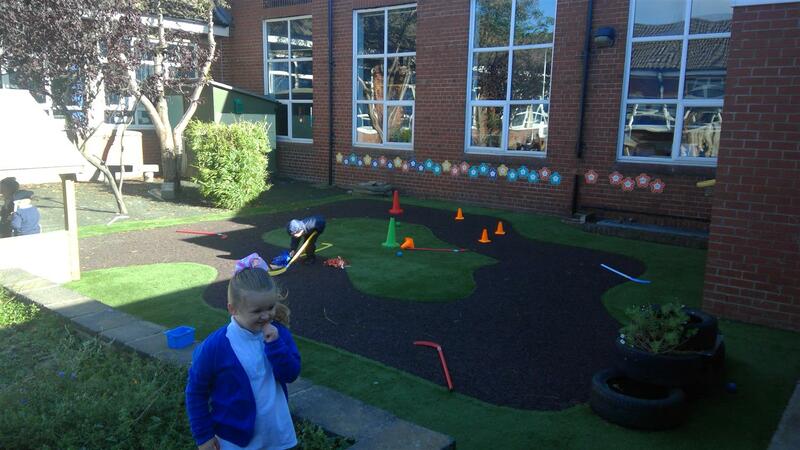 “The range of surfaces means that teachers can plan and use the space to cover many areas of the curriculum including all 7 areas of the EYFS curriculum. The teachers select specific activities for the different areas for example, on occasion, the track has been used to develop gross motor skills as well as build team work." 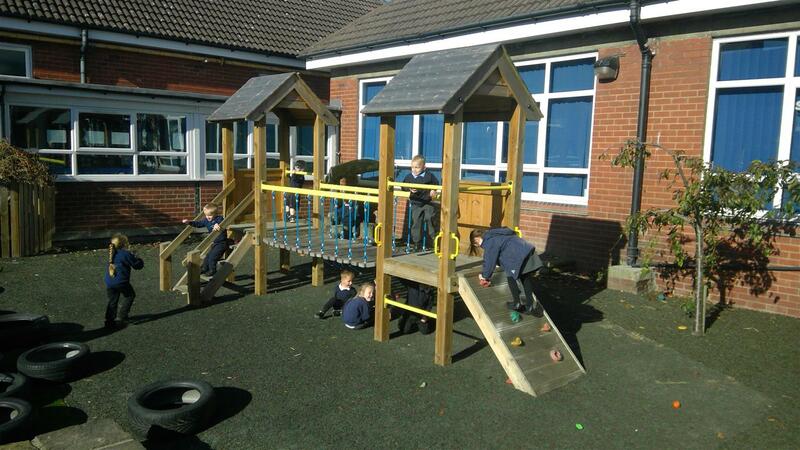 View our dedicated EYFS Page with suitable playground products here. 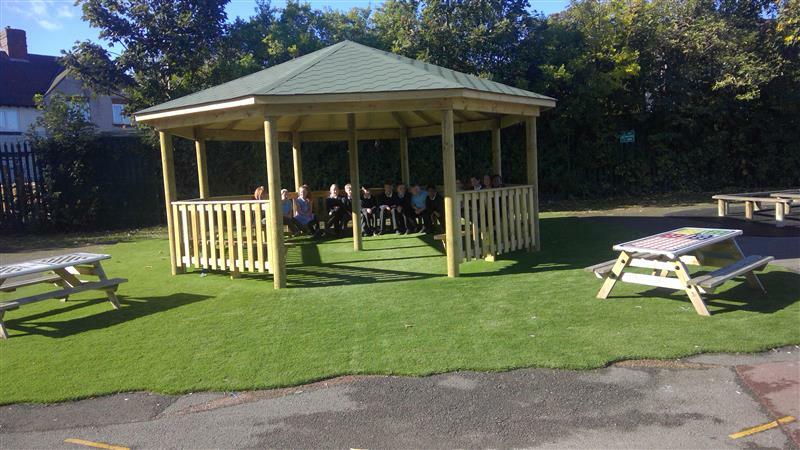 To create a functional base for both structured and unstructured learning, we installed our 6M Octagonal Gazebo complete with benches, fenced sides and a huge whiteboard. 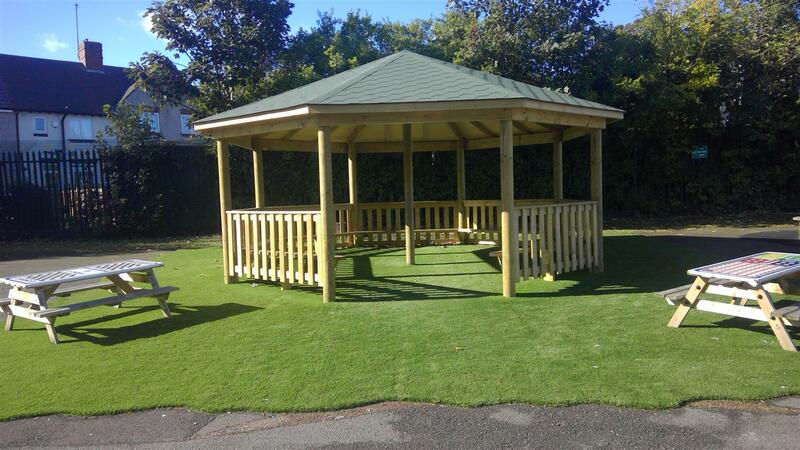 Gazebos are quintessential shelters for ensuring outdoor play and learning is possible all year round and are a welcoming space for social interaction, role play, drama and outdoor reading. This Gazebo has a seating capacity of 50 children, meaning the teachers at Southey Green can accommodate large numbers of pupils at any given time. Our timber is guaranteed for 15 years. 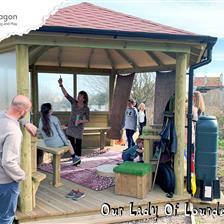 Learn more about our range of School Gazebos here. 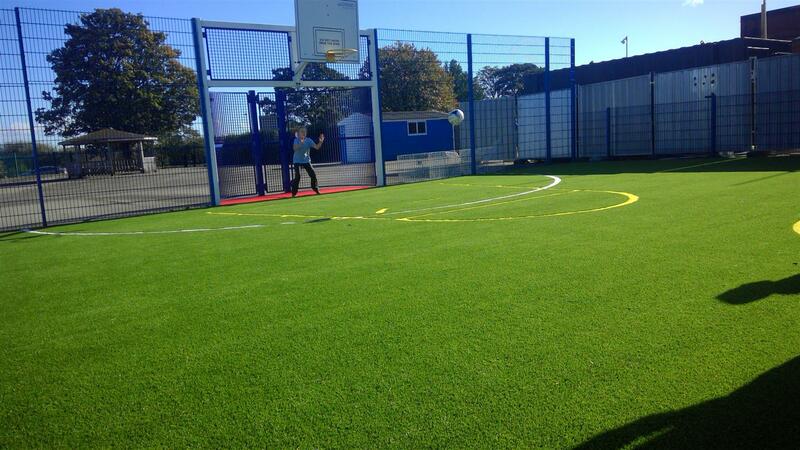 Before our development, the school had two designated spaces for sport. One was for their year 2, 3 and 4 pupils and the other was for their year 5 and year 6 pupils. The fences were already in place but both areas only had a concrete surface which caused many injuries and scraped knees while playing different sports. 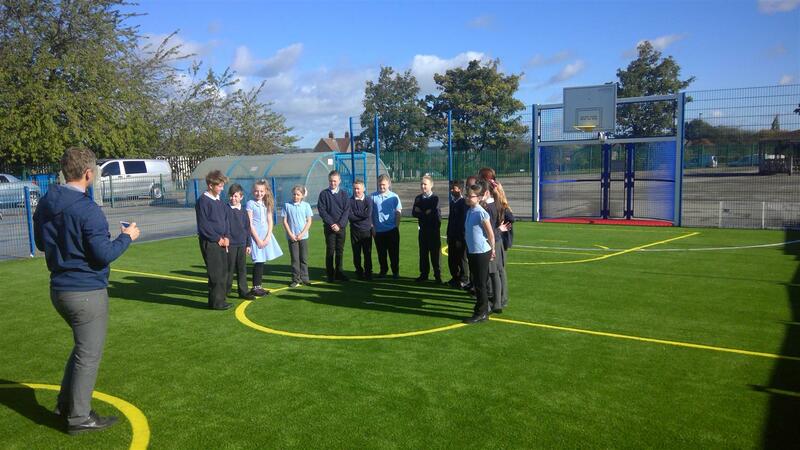 We re-surfaced both MUGAs with our excellent Artificial Grass which has been designed for sport and high traffic areas. It includes a shockpad underlayer to protect children from falls and eliminate any chance of potential injuries. The surface has excellent drainage to ensure both areas can be accessed in all weathers without disruption. 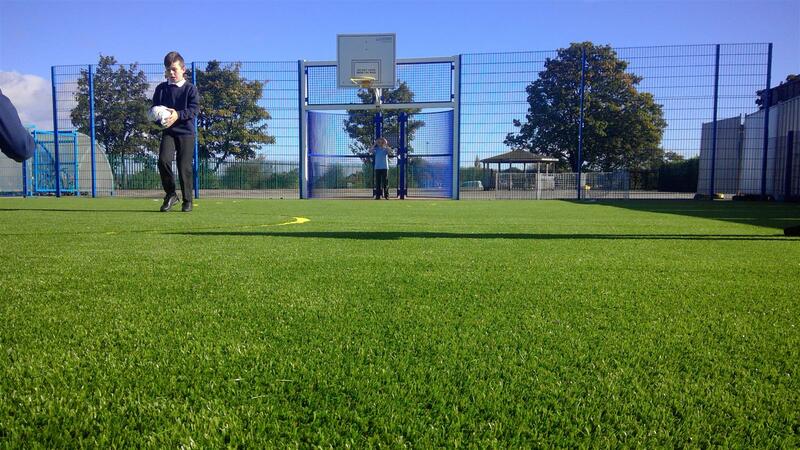 Our artificial grass has passed FIFA’s rigorous durability tests, so the areas are perfect for multiple sports. 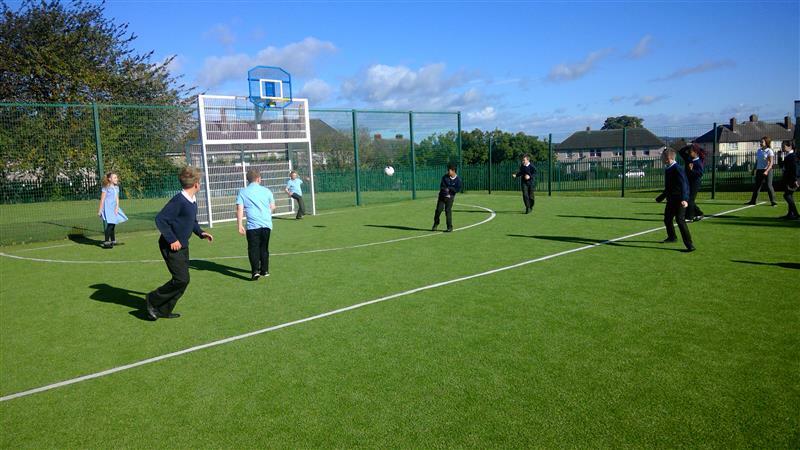 We added sports lines to cater for football, netball and basketball on the MUGAS for years 2-4 and Netball and Football markings for the MUGA designed for years 5-6. 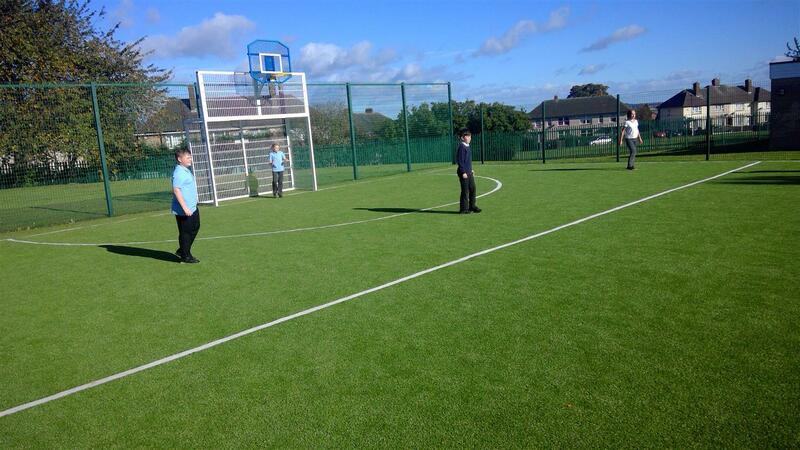 The MUGA for years 2-4 is a 22x16m space and the MUGA for years 5-6 is a 30x18m space. 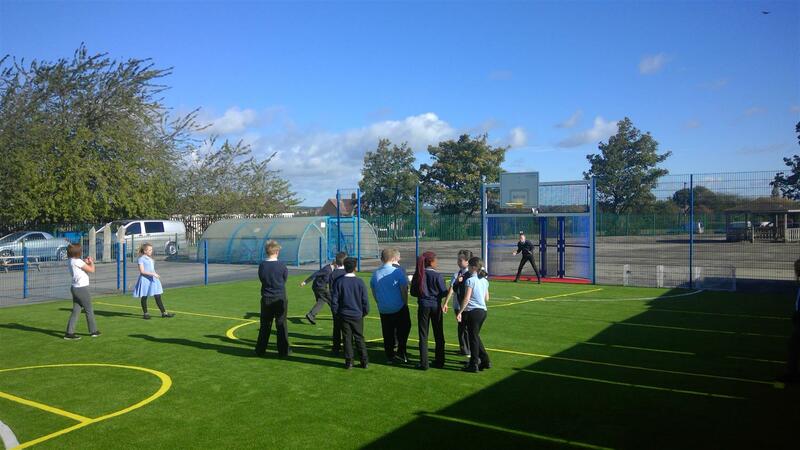 If you’d like to see more examples of our Multi Use Games Areas and Sport Surfacing options, visit our dedicated MUGA page here. 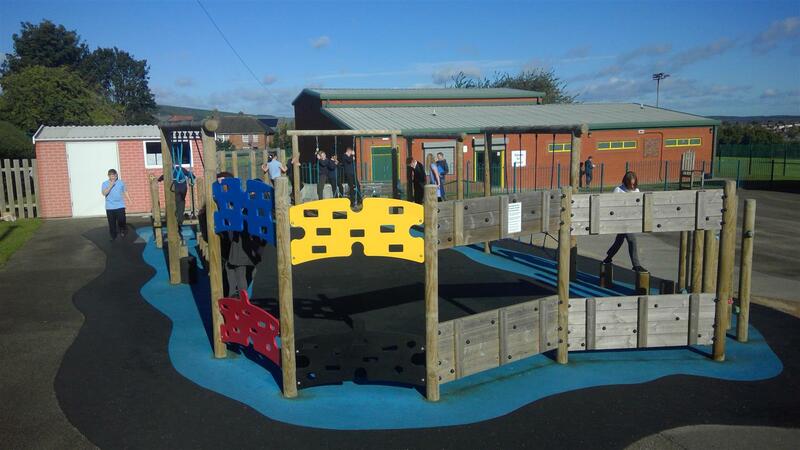 We have worked with Southey Green Primary School on over 5 different projects and always strive to provide schools with the best possible service to ensure they become a customer for life. If you’re interested in working with us on an exciting playground project, feel free to contact us by completing our Online Form. We will be in touch to arrange a free consultation, site visit and design presentation.